Looking for reliable and affordable Computer Repairs, Services and Help in the Cramps Bay area? Geekmobile is a Friendly, experienced Computer Repair company operating at Cramps Bay. Our Technicians are of the highest standard and we fully cover Cramps Bay and the surrounding suburbs including Shannon, Millers Bluff, Lake Sorell, Tods Corner, Pontville, Morass Bay, Elderslie, Bridgewater, Apsley, Waddamana, Miena, Interlaken, Mangalore, Kempton, Broadmarsh, Bagdad North, Wilburville, Pelham, Gagebrook, Melton Mowbray, Lower Marshes, Jericho, Hermitage, Granton, Flintstone, Dromedary, Steppes and Liawenee just to name a few! Cramps Bay is serviced by the techs based in these suburbs and surrounding areas: Slavomir (Kempton). 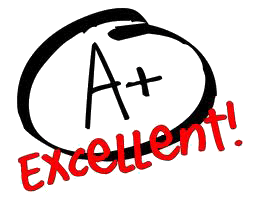 "Ram was very punctual, polite, pleasant and efficient"